for those who love Him. I often tell my Sunday School children, . 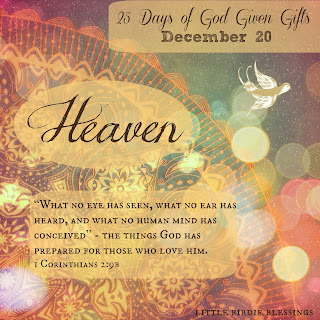 . . can you just imagine what heaven is going to be like? 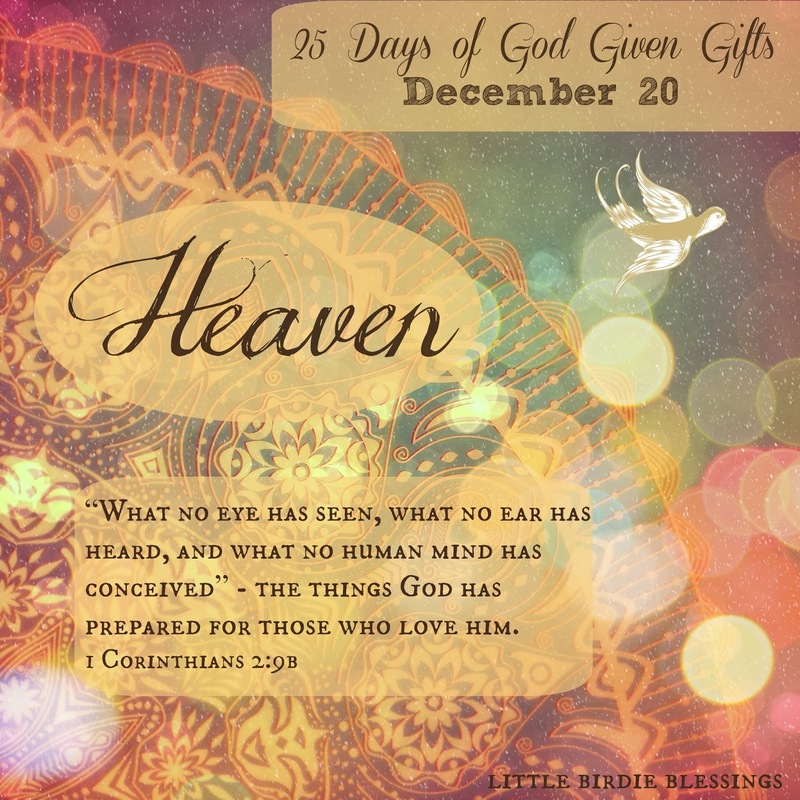 If God made the earth and all it's beauty in 6 days, Heaven is going to be beyond anything we can imagine. Just like today's verse tells us. Doesn't it seem as if these birds are flying straight from heaven to tell us good news. Straight from God ~ that heaven is real and a place so wonderful it defies description? Where streets are made of gold, music more beautiful then anything we've ever heard, all sadness wiped away, no more tears or pain, a perfect body, where everything in our minds will be made clear, we will understand. A place of perfect peace. A place where there is no night and no need of the sun, as God is the light. I take comfort in knowing that some of my family members are already there, and I will join them someday. Now at last they were beginning Chapter One of the Great Story no one on earth has ever read, which goes on forever: in which every chapter is better than the one before. Here are just some of the facts about heaven found in Revelation chapter 21. I'd encourage you to read it for yourself. 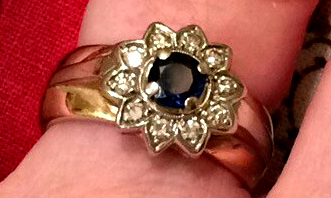 When I look at my own wedding band which consists of gold, diamonds, and a sapphire, I can't help but reflect how it pales in comparison to the jewels in heaven. 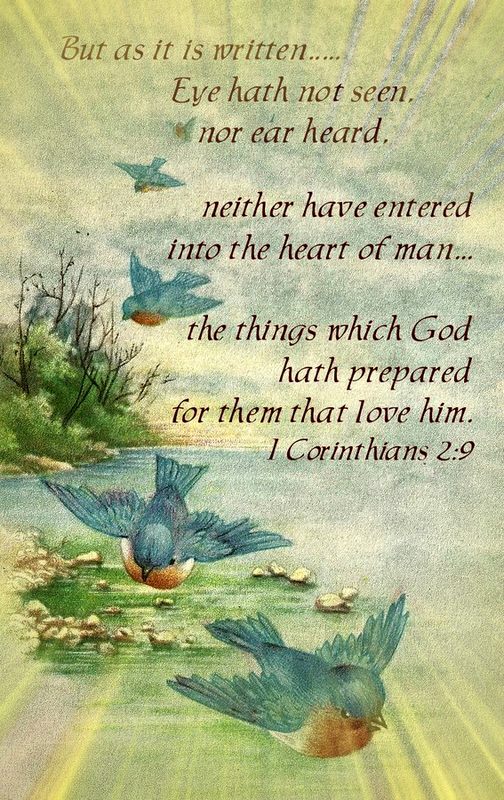 I would imagine the layers of heaven are precious stones in their purest form. We literally have no idea how magnificent it will be. These images are free for personal use, ministry use, or for gifting. Not to be sold. If you share the images on your blog, a link back would be appreciated. Please do not copy my entire posts to your blog. Thank you. I will be posting this until Christmas here on my blog. You can follow this series your favorite way. Your December verse images have been a blessing to me, Abby. We need this hope of Heaven to continue when times in our current life are tough. Thank you for sharing these truths with us. I love Those Narnia verses too. I read your Eternal Destination post, Heaven is beyond our imagination and we probably have different ideas of what would be heaven. My heaven has fields of wild flowers and horses, because we think In earthly terms, but I am sure it is a place of love. Your comments are blessings to my day. Please enter your email address to receive updates of new posts. Hi, and welcome to Little Birdie Blessings. 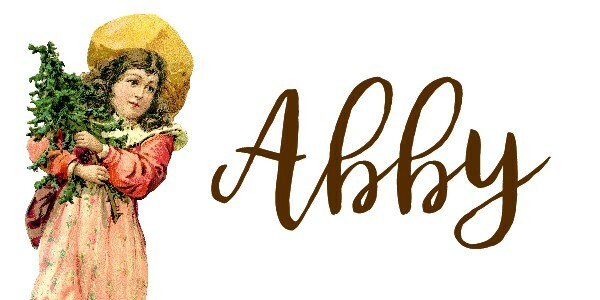 I’m Abby and my blog is a place of Christian encouragement for women through free vintage images, devotions, hymns, Scripture, digital art and more. I draw from my experience as a Pastor’s Wife, Mother, Grandmother, and the various trials I’ve experienced that have shaped me to be the woman I am today. I love the Lord wholeheartedly and strive to encourage others through His Word, the Bible.